Fowler Recruiting, LLC. dba Analog Solutions is an Analog Recruiter that assembles “Outstanding” Executive Technology Teams within the Analog and Mixed Signal Semiconductor and Nanotechnology world. 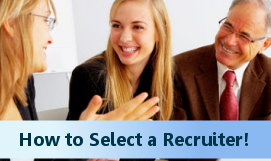 We stand apart from other recruiting firms by offering a specialized service to a select group of growing companies. In today’s business world, employers must depend on the abilities of a recruiter, the quality of their judgment, depth of their resources, ingenuity and integrity. We offer our clients the opportunity to work with the industries’ very best, low volume, high service organization.